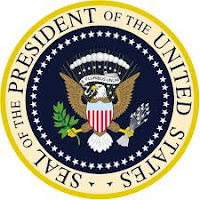 The Declaration of Independence tells us that “all men were created equal.” President Herbert Hoover, perhaps our country’s most dedicated fisherman, once said “All men are equal before fish." What does it all mean? It means that U.S. presidents are like you and me when they are fishing. Just average Joe and Josephine with a fishing rod in their hands. 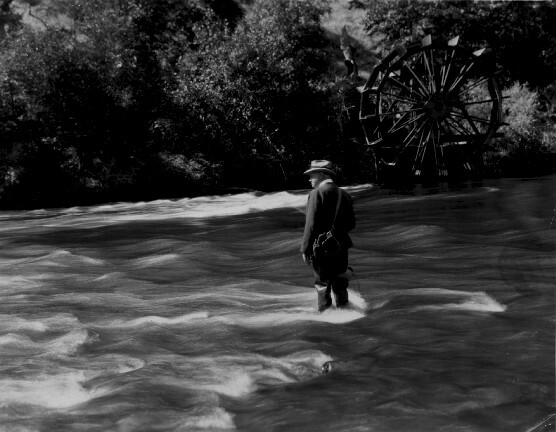 Herbert Hoover fly-fishing at Brown's Camp, Calif., in August 1928. Photo courtesy of the Hoover Library. 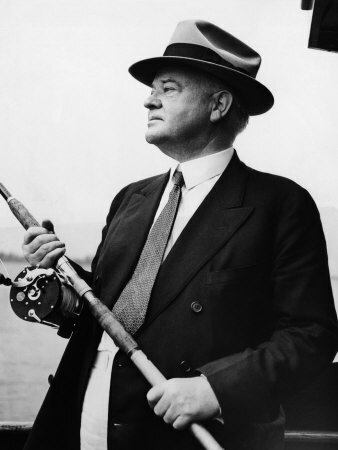 Herbert Hoover was a dedicated fisherman, no doubt. He even wrote a book about fishing: "Fishing for Fun -- And to Wash Your Soul." He wasn't the first fishing president nor the last, but he probably produced more fishing sayings than any other president. So, yes, Hoover took his fishing seriously. And did you catch his solution for crime? Put a fishing rod in the hands of a criminal and today’s society would be so much better off. As a cabinet member, subsequently President of the United States, Herbert Hoover had significant interest in conservation and pushed a number of federal thrusts into natural resources and recreation.